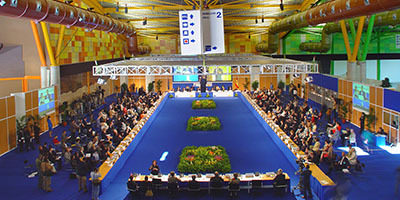 The Trade Fairs and Congress Center of Málaga –Fycma- has been conceived as a strategic place for business with the vocation to become a leading referral center for conventions and fair activities in the national and internacional arena, currently leading the conventions business among countries in the Mediterranean basin. 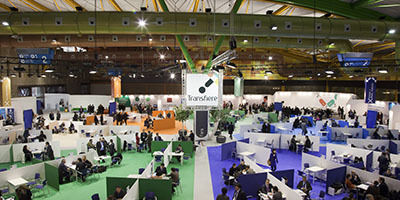 The functional and avant-garde design of the Trade Fairs and Congress Center of Málaga, together with its technological facilities, converts it into a business center of national reference, in which 1,300 events have taken place throughout its time of activity. 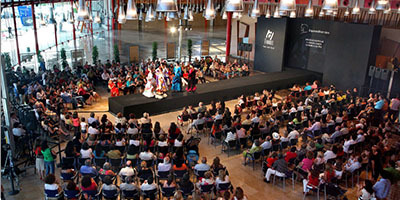 Fycma is sited 5 minutes away from Pablo Ruiz Picasso Málaga internacional airport, to just a few minutes of historic down town area of Malaga, is the perfect space for celebration and organization of any kind of event. 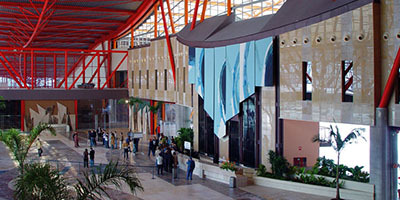 It is a functionally designed, contemporary building of 60,000 m², uniting the Málaga tradition with the avant-garde style of the 21st century. 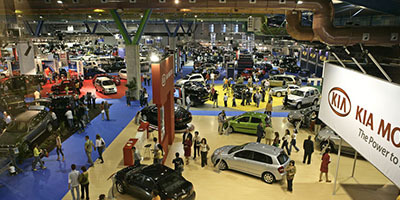 It has an exhibition area of 17,000 m² distributed in two pavilions, two auditoriums, two conference halls, an exhibition hall, fifteen multi-purpose meeting rooms, three catering areas and a parking area with a capacity for 1,200 vehicles. 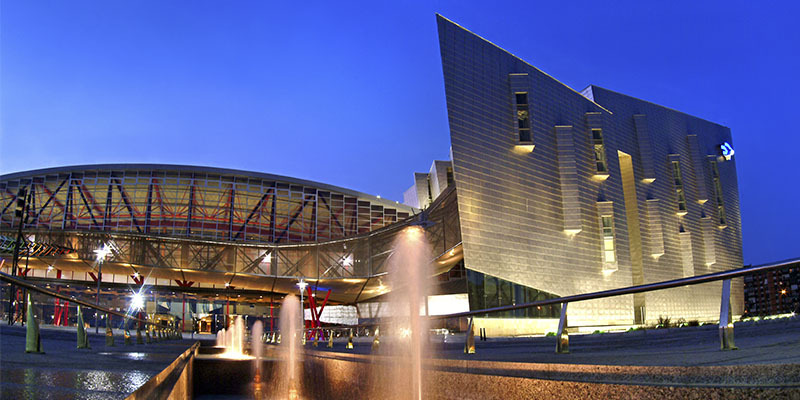 These installations can accommodate more than 20,000 visitors. 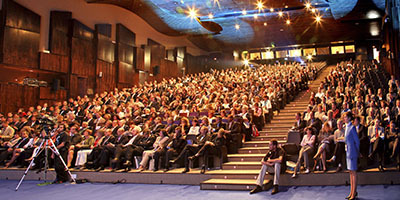 The business center also has an added value that few can boast, the destination itself, Malaga. Picasso’s birthplace offers an ample variety of culture and leisure, quality hotels and an extensive network of infrastructures that communicate with the whole country and with Europe. In addition, there is an average annual temperature of 18ºC.